and brand the digital images you deliver to your clients. No matter how good your photography is presentation counts. 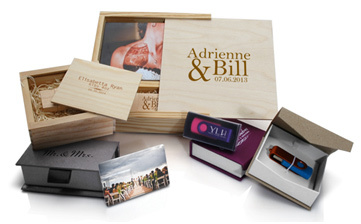 Delivering your digital images on imprinted USBs will impress your clients and generate future sales. The name of the event, along with your logo & contact information are attractively printed on the front and back of the drive. A distinctive box, with optional imprinting, provides the finishing touch. Small display boxes emphasize the value of the USB itself. Larger boxes can contain a drive and a set of prints...a profitable up-sell. You have a wide range of USB styles from which to choose. Impressive, wood USBs give your package a rich, upscale look. Inexpensive flip-out drives are perfect for multiple USB orders. Business card sized drives make excellent gift items for bridesmaids, groomsmen and family members. These drives have a photograph of your client's family and the event name on one side and your logo and contact information on the other. Sold in multiples of ten, they can be a real money-maker for you! Promotional USBs are an excellent product for you to provide to sales executives. For example, a salesman can have his photo, name and contact information in full color on both sides of a business card USB. The drive can contain a video of of him and his product(s) and a PDF of his catalog. Providing enhanced business cards, including your offering the additional service of recording the inside content, can be a profitable professional service. Branded USBs promote your photography to potential new prospects. In effect, every imprinted drive is your business card! You can design and order customized USB drives on ROES in about 10 minutes. 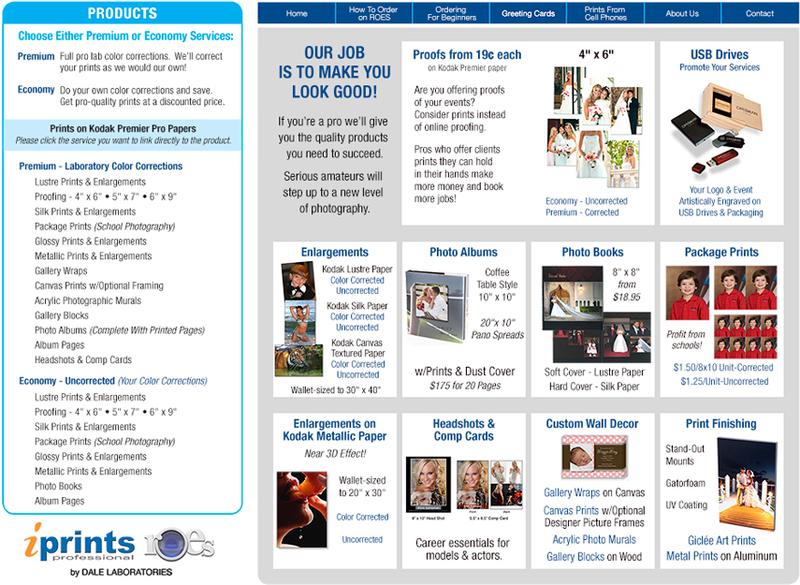 Use the Click to Start ROES graphic to open our free ROES software. Then, click on the USB Drives picture on the upper right of our ROES home page.